Gifts given to staff or customers are legitimate business expenses and therefore the VAT incurred on the cost of these can be recovered as input tax. However, this gift is classed as making a supply for VAT purposes, so as a general rule the business will have to account for VAT on the value of the gift. There is an exception however. If the cost of the gift, or series of gifts, to the same person doesn’t total more than £50 (excluding VAT) in any 12 month period then VAT can be reclaimed in full without the need to account for output VAT. If the gifts given in the year exceed £50 then HMRC will allow businesses to avoid creating a notional sale in order to account for the output VAT, as long as the input VAT was not claimed on the initial purchase. It is also worth noting that the gift does not have to feature any form of business advertising to qualify (as with direct taxes). The £50 limit does not include administrative expenses, e.g. 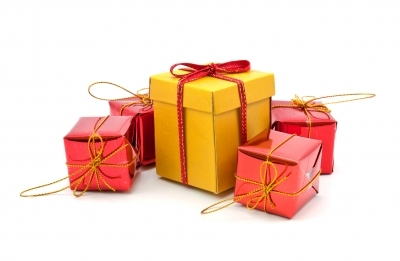 postage and packaging, and the offering must meet the gift criteria in order to qualify. There is no restriction on the amount of input VAT that can be recovered on the cost of staff parties and, as long as the employer does not charge for providing the entertainment, no output tax is due. This rule relates to the entertainment of staff only. If business contacts are entertained then the input tax cannot be recovered – not even a proportion. Even if the majority of attendees are employees, if business contacts are also present, then businesses cannot claim any of the input VAT. An apportionment is necessary, however, should employees bring guests along to the party (spouses, etc.) In cases where no charge is imposed for guests to attend, the input VAT should be apportioned between staff and guests and only the proportion relating to the employees should be claimed. Also bear in mind that if the firm’s partners go to a Christmas soiree on their own, the VAT incurred on this is not input tax and cannot be recovered. So there you have it….. Merry Christmas from the Taxman!